Shown in black. 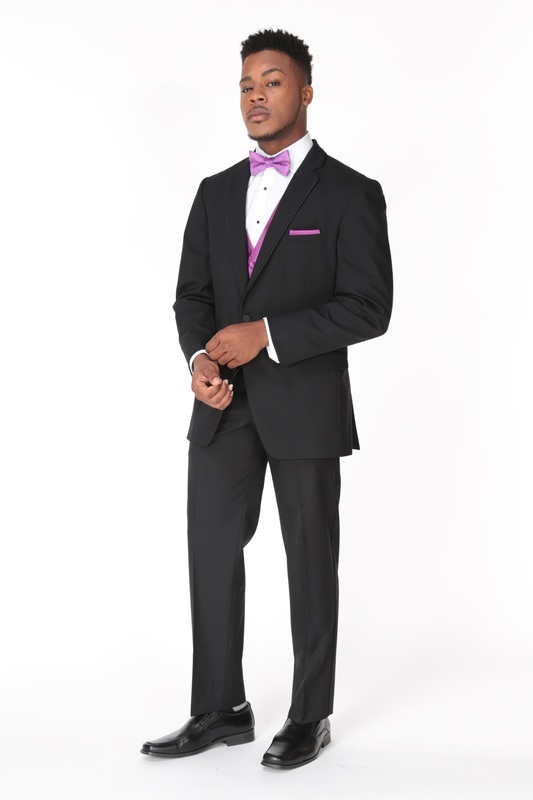 Features side vents, open cut jacket, modern lapel and a matching vest option. Shown in flat front pants but can also be paired with pleated or slim fit pants.